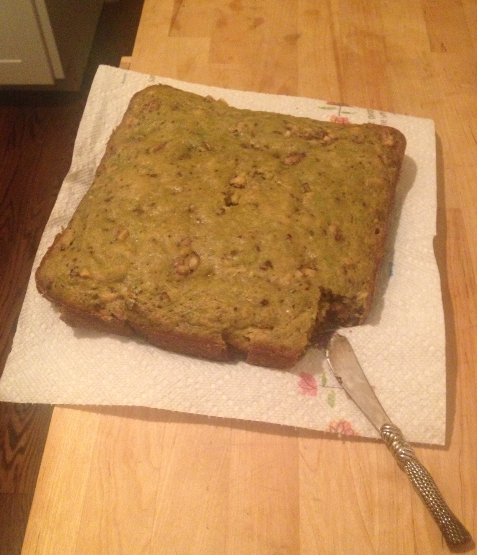 My roommate, the baker, had an interesting experience making zucchini bread without key tools such as a grater, a sifter and a legitimate bread pan. But she was determined to do so knowing it was the perfect recipe for the 6 beautiful zucchini we got in this week’s CSA. 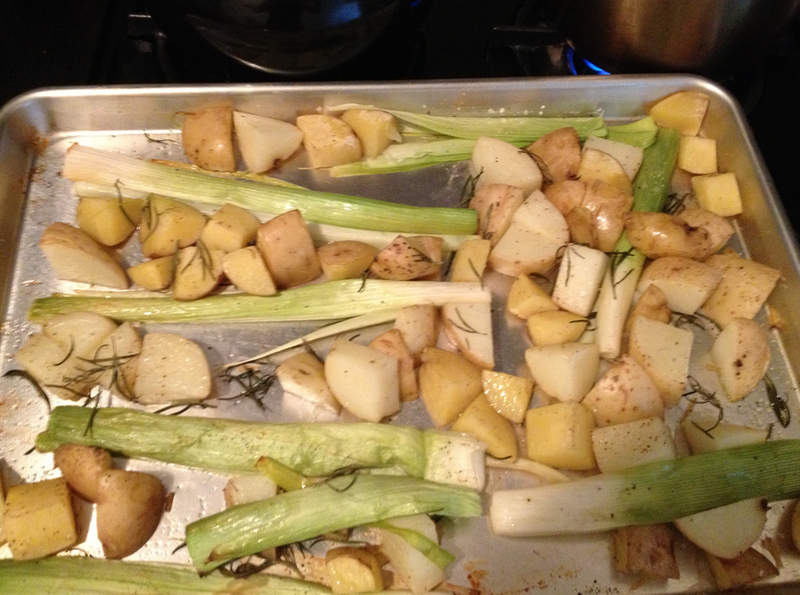 The recipe below is adapted from the Silver Palate. 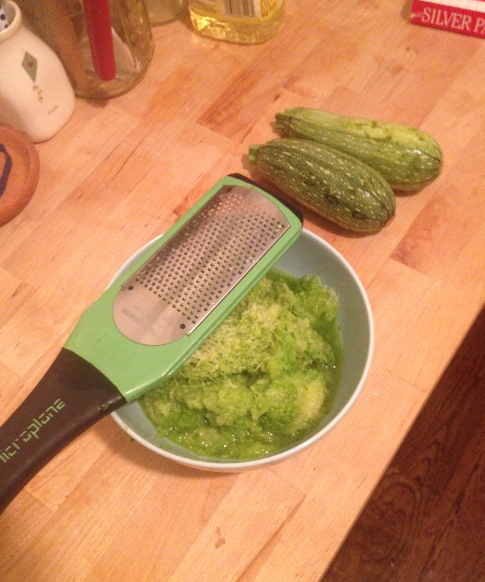 2 cups grated unpeeled raw zucchini (I do not own a grater, so instead I used a microplane, the greatest tool of all time, I “grated” the zucchini into a pseudo-pulp (that I later learned upon consumption is great for retaining moisture)). 3. Sift the dry ingredients together. 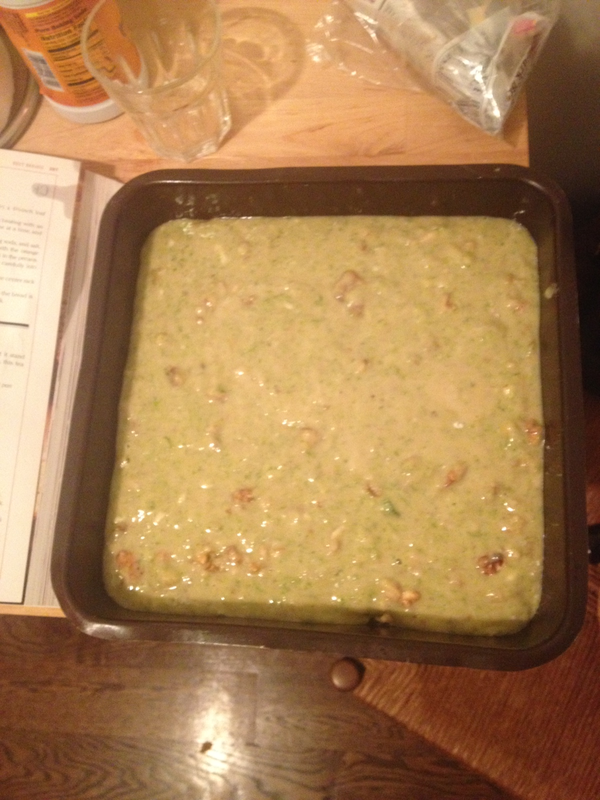 Stir into the zucchini mixture until just blended. Fold in the walnuts. 4. Pour the batter into the buttered loaf pan. Bake on the center rack of the oven until a cake tester inserted in the center comes out clean, about 1 hour and 15 minutes. 5. Cool slightly. For the best flavor, wrap the bread when cool and let it stand overnight before serving. I started out wanting to make Anthony Bourdain’s vichiyosse. Then I took a realistic look at my postage-stamp sized blender and kitchen and decided to adapt this recipe from Food and Wine instead. Given that it is basically nutritionally perfect, I am always looking for ways to integrate bland quinoa with other exciting flavors. 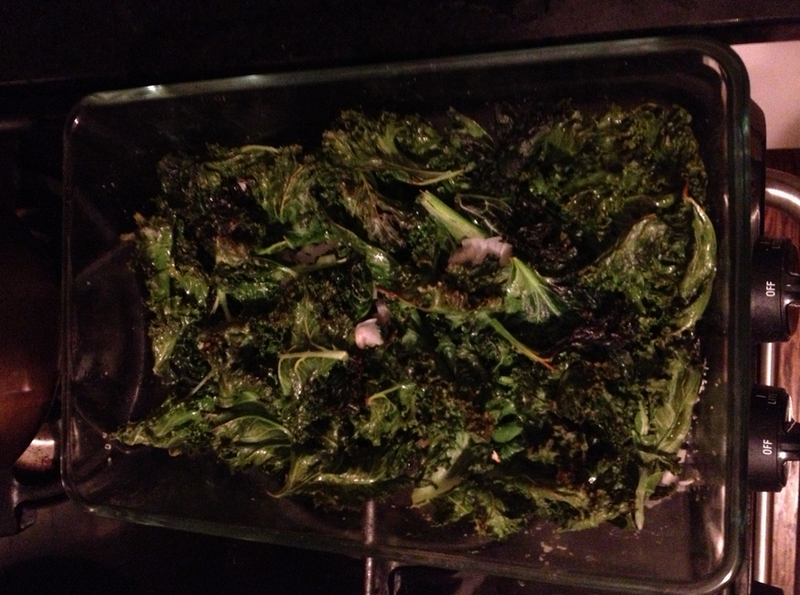 When we received both kale and GIANT beets in our share last week, I adapted this recipe from one of my favorite food blogs Food 52. Between the beets, kale and feta there is great variety in color, texture and flavor in this salad. Preheat the oven to 400 degrees. 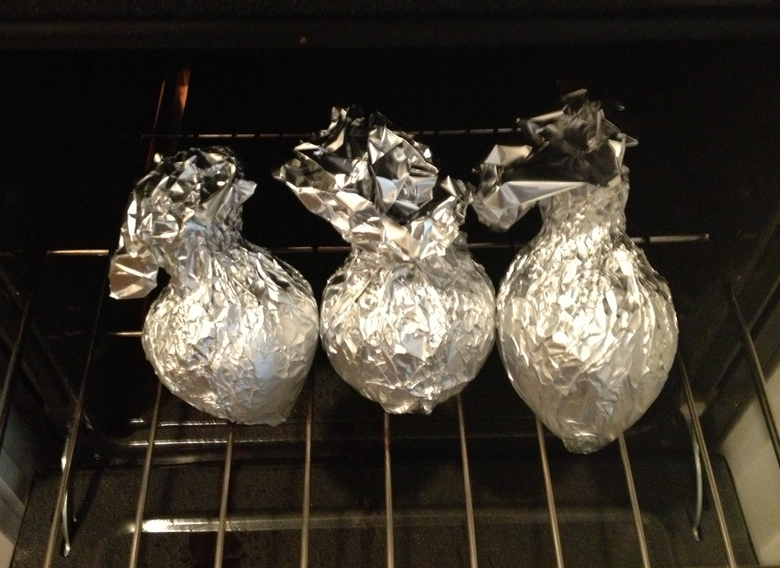 Wrap the beets in tinfoil and drizzle with a little olive oil. Place the wrapped beets directly on the oven rack and roast for about an hour until you can stab them easily with a fork. Meanwhile, cook the quinoa. Heat a cooking pot until you can feel the heat radiating from the bottom when you hold your hand at the top of the pan. Add the quinoa and toast for about 5 minutes, shaking the pot frequently, until you can smell the toasting grain. Add 2 cups of water, bring to a simmer, reduce the heat to low, and simmer partially covered for about 15 minutes until all of the water is absorbed and the quinoa grains have released their little halos. When the beets are ready, remove from the oven and put them in the sink to cool. You can also run cold water over the packets to speed up this process. Rub the tinfoil on the sides of the beets to remove the skin (this is THE best way to remove the skin and not end up with a red kitchen). 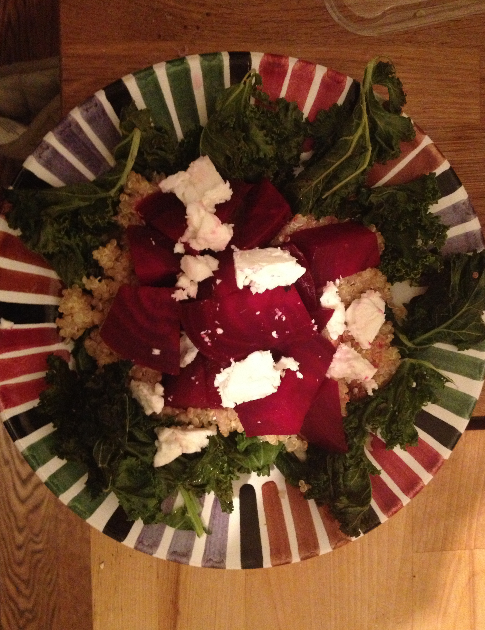 Cut the beets in bite size pieces then transfer the beets to a bowl and mix with the cooked quinoa. Put the shallots, water, sugar, and smoked paprika in a cuisinart blend until smooth. Stir into the quinoa and beet mixture. Assemble the salad. 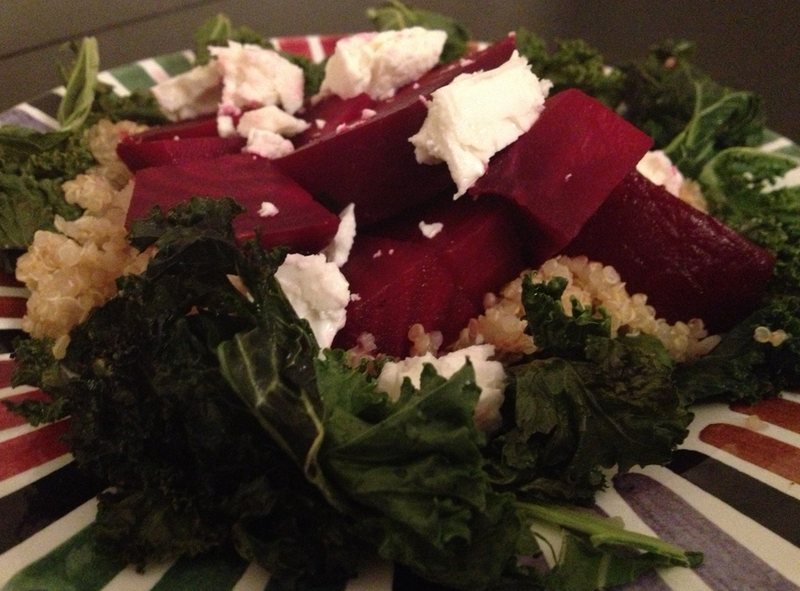 Plate a bed of toasted kale, then spoon on the quinoa and beets, and finally sprinkle over the feta cheese. 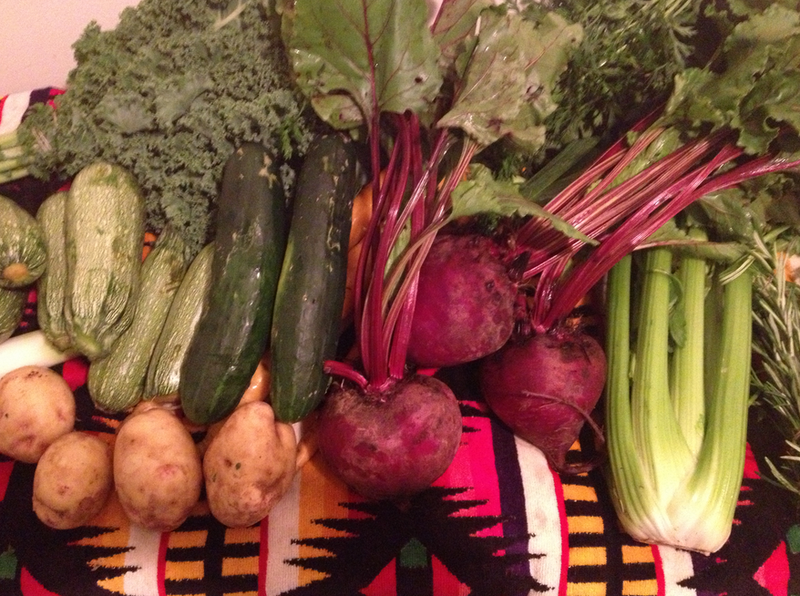 I wish I was part of this CSA. 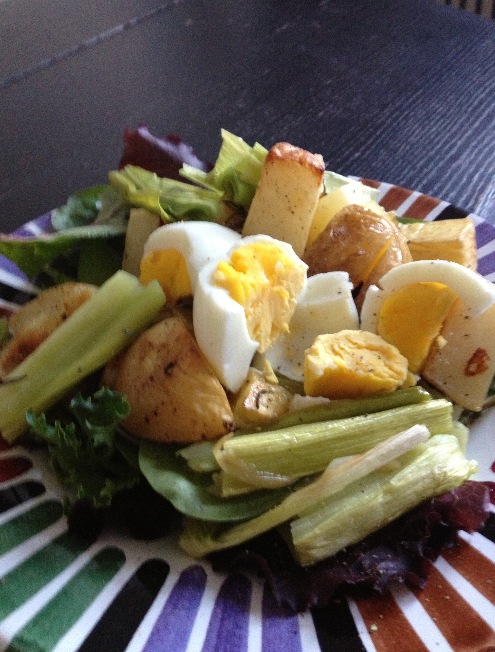 I only have the Portland, ORE Farmer’s Market which isn’t bad, but I LOVE all these recipes.